Our Magic Eyelash Mascara is the perfect gift for all ladies! 1. The Best Creative Gifts presents to you the ultimate 4D Silk Fiber Lash Mascara that creates dramatically beautiful & bold lashes with just one single application! 2. The deep and rich black color enhances the beauty of your eyes and compliments any makeup look. 3. 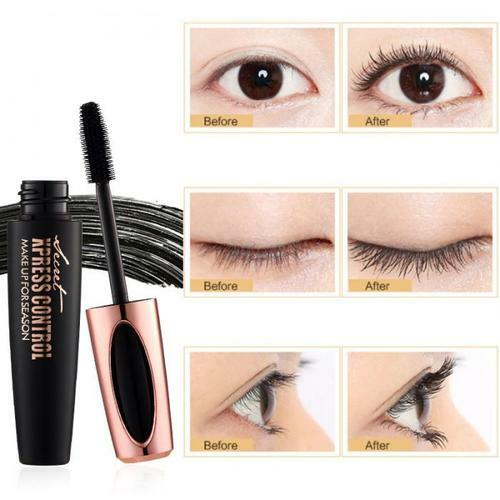 The waterproof and long-lasting formula ensures that your eyelashes stay gorgeously long, thick and voluminous all day through rain, tears, and sweat. 4. Made with natural & non-toxic ingredients, our 4D Silk Fiber Lash Mascara will not cause any irritation or redness. 5. It’s gentle enough for contact lens wearers and sensitive eyes.